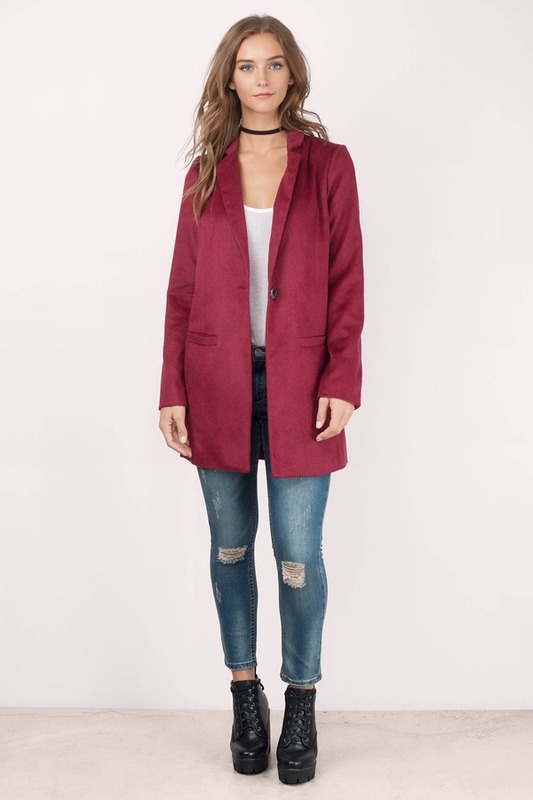 Check out Tobi's Front Page Blazer Coat The Front Page Wine Blazer Coat keeps it classy as a sophisticated outerwear staple. This oversized blazer features a long and lean silhouette with a brushed wool texture. Look sleek and refined with this classy blazer with skinny jeans and pointed stilettos. The Front Page Black Blazer Coat keeps it classy as a sophisticated outerwear staple. This oversized blazer features a long and lean silhouette with a brushed wool texture. Look sleek and refined with this classy blazer with skinny jeans and pointed stilettos. The Front Page Grey Blazer Coat keeps it classy as a sophisticated outerwear staple. 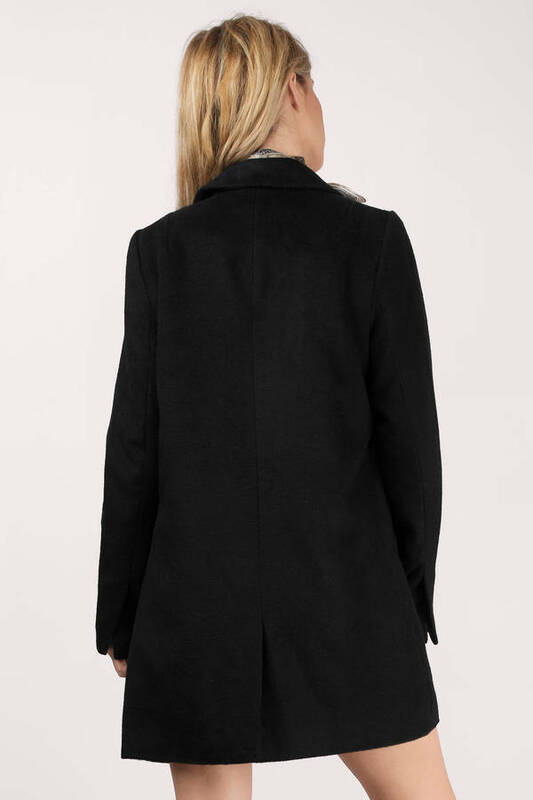 This oversized blazer features a long and lean silhouette with a brushed wool texture. Look sleek and refined with this classy blazer with skinny jeans and pointed stilettos. 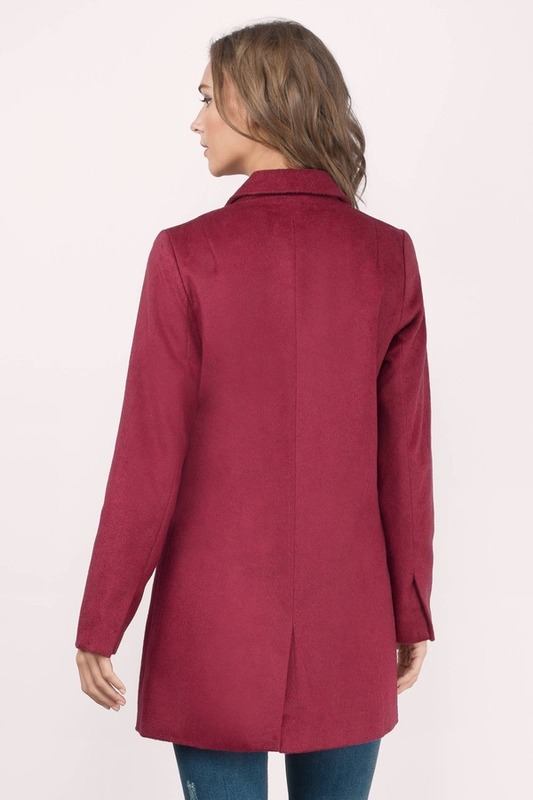 The Front Page Wine Blazer Coat keeps it classy as a sophisticated outerwear staple. This oversized blazer features a long and lean silhouette with a brushed wool texture. Look sleek and refined with this classy blazer with skinny jeans and pointed stilettos. Model's profile: height 5' 9", bust 31.5", waist 24"